Partial reconfiguration (PR) of FPGAs can be used to dynamically extend and adapt the functionality of computing systems, swapping in and out HW tasks. To coordinate the on-demand task execution, we propose and implement a run time system manager for scheduling software (SW) tasks on available processor(s) and hardware (HW) tasks on any number of reconfigurable regions of a partially reconfigurable FPGA. Fed with the initial partitioning of the application into tasks, the corresponding task graph, and the available task mappings, the RTSM considers the runtime status of each task and region, e.g. busy, idle, scheduled for reconfiguration/execution, etc., to execute tasks. 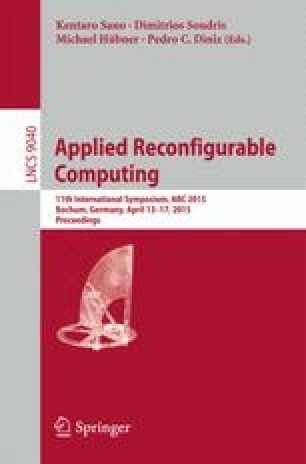 Our RTSM supports task reuse and configuration prefetching to minimize reconfigurations, task movement among regions to efficiently manage the FPGA area, and RR reservation for future reconfiguration and execution. We validate its correctness using our RTSM to execute an image processing application on a ZedBoard platform. We also evaluate its features within a simulation framework, and find that despite the technology limitations, our approach can give promising results in terms of quality of scheduling.